Preheat gas grill. Brush the grilling rack with olive oil. 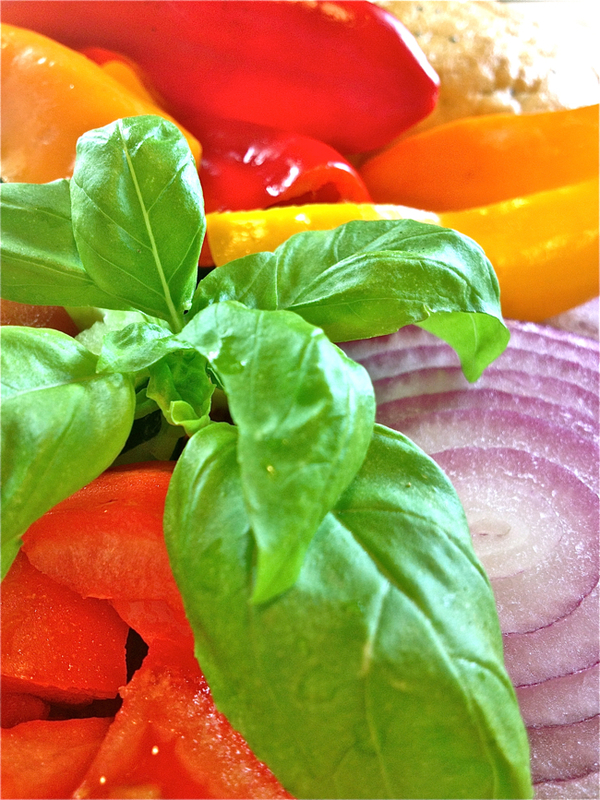 Place the cucumber, tomato, and basil in a large bowl, sprinkle with salt and pepper and toss together. Set aside. 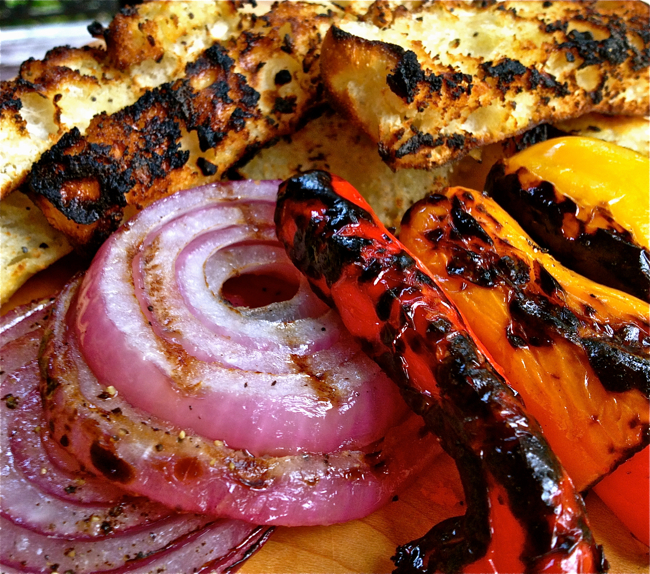 When the grill is ready, brush 1 side of the onion slices and the peppers with olive oil. 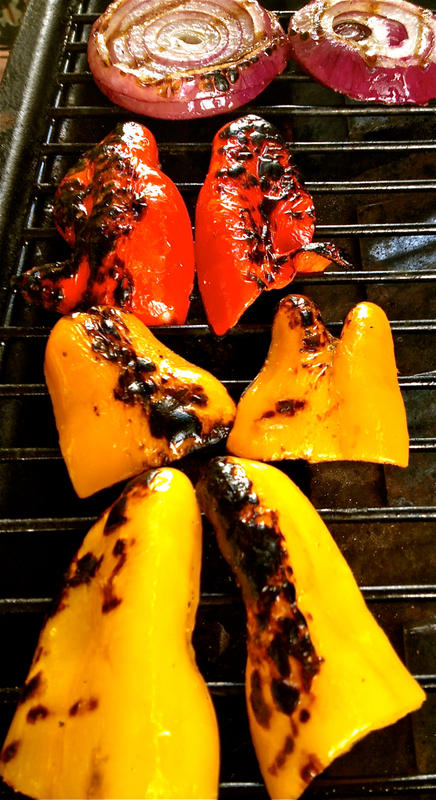 Place them, olive oil side down, on the grill and cook for 4 minutes. Brush the other side with olive oil, turn them over and continue cooking an additional 4 minutes. 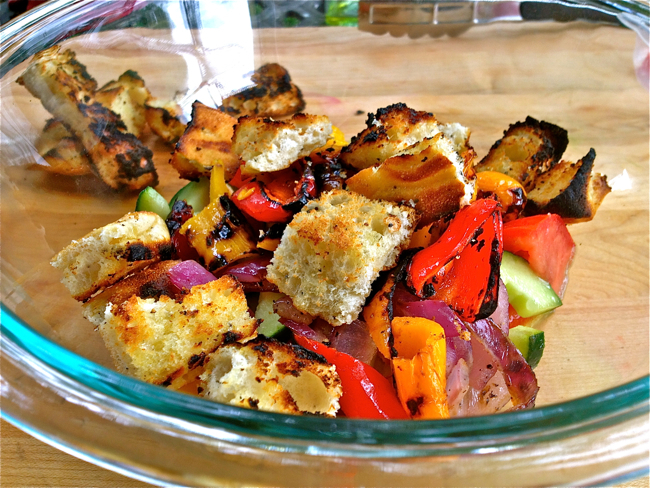 Brush the bread slices on both sides with olive oil and toast them on the grill until golden. 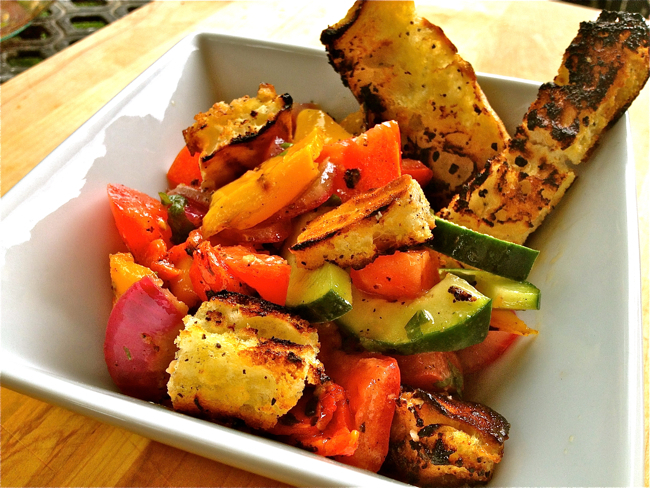 Remove the vegetables and bread from the grill and place on a cutting board. 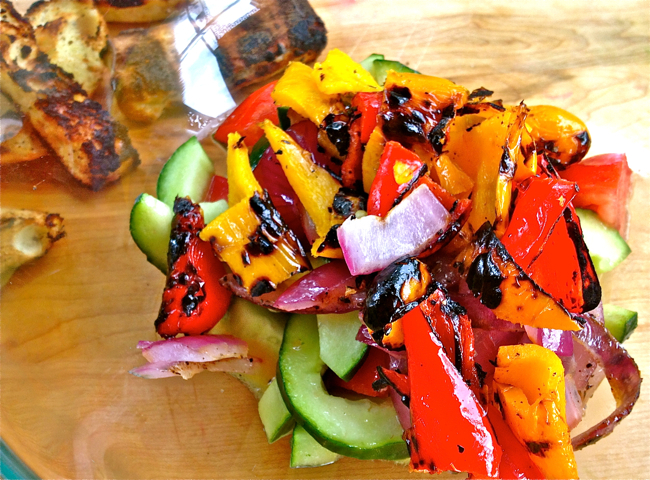 Slice the peppers and onion. 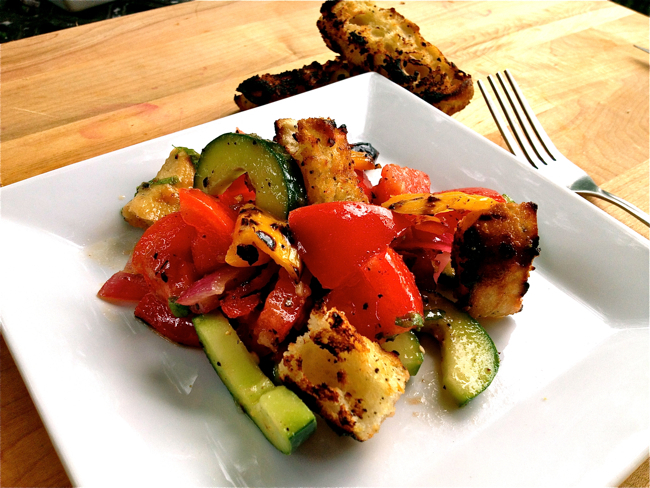 Add grilled vegetables to the cucumber mixture. Cube the bread and add them to the mixture. 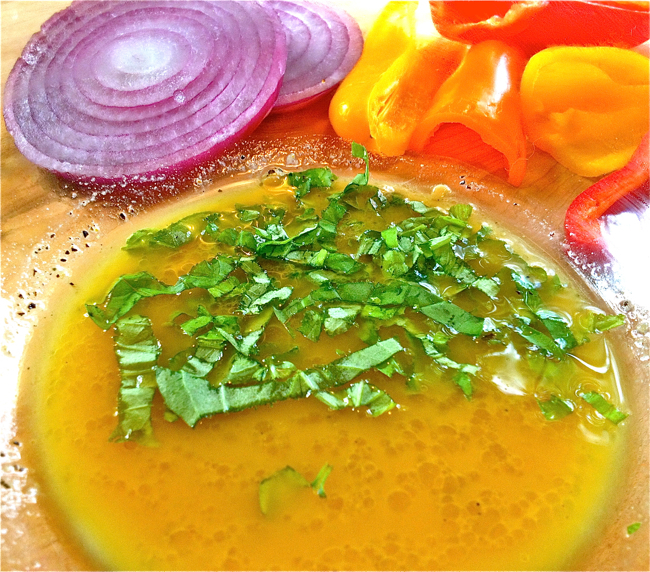 Pour the reserved vinaigrette over the vegetables and toss together. I wish you can update articles often.Your posts offer advice to me.Thanks to your sharing, I can enrich my knowledge.Thanks a million. I am waiting new posts.